Thanks to a new deal with Viacom, Amazon Prime subscribers now have access to instantly stream more than 15,000 movies and TV shows in Prime Instant Videos. Because of this deal, Amazon is quickly rising to be on the same level as Netflix, making them equal competitors. 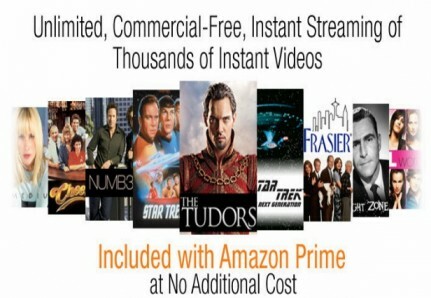 Amazon Prime, with an annual membership program for $79 a year, offers its customers unlimited free 2 day shipping on most of their products and also allows unlimited instant streaming of thousands of TV shows and movies. Additional perks include access to borrow countless books for free straight onto their Kindle devices. This new deal with Viacom lets Prime members to watch shows like Jersey Shore, The Real World, Chappelle’s Show, Hot in Cleveland, and children’s programs such as iCarly, Yo Gabba Gabba and Dora the Explorer, to name a few. The ability to stream TV shows and movies through Amazon is available through Amazon Prime, which means it’s part of the whole Prime package. Some concerns include not being able to access the shows and movies without linking the service to the users Prime account. Hopefully in the near future, Amazon will come up with a way separate the service from the account. With more than 15,000 movies and TV shows to choose from and Netflix raising their prices last summer, many people are making the switch from Netflix to Amazon Prime Instant Video. 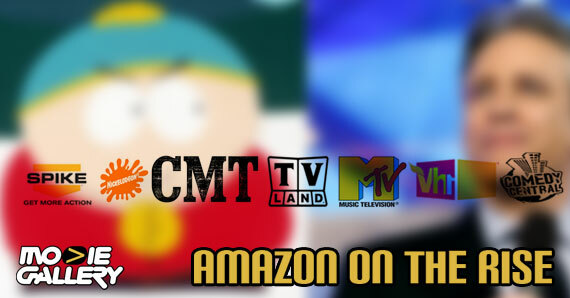 It seems that this deal with Viacom is just the beginning to the development of Amazon Prime. The new titles mentioned above are available at the Movie Gallery On Demand store! Questions? Comments? Follow us on Twitter, like us on Facebook, add us on Google+! This entry was posted in On Demand, The MG Blog and tagged Amazon, Amazon Prime, Movies, Netflix, TV shows, Viacom by arianned. Bookmark the permalink.